The current and three former Commissioners for Human Rights have been invited to attend the event to discuss the state of human rights in Europe. The Commissioner for Human Rights monitors the implementation of human rights in the Council of Europe's Member States by means of conducting country visits. The Office of the Commissioner for Human Rights was set up in 1999. 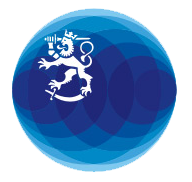 The institution was founded on Finland's initiative at the Parliamentary Assembly of the Council of Europe (PACE). The current Commissioner for Human Rights is Dunja Mijatović from Bosnia and Herzegovina. Her predecessors were Nils Muižnieks from Latvia (2012–2018), Thomas Hammarberg from Sweden (2006–2012) and Álvaro Gil-Robles from Spain (1999–2006). The Winter Session of PACE will celebrate the 20th anniversary of the institution of the Commissioner for Human Rights. This is the first time that the four Commissioners will gather together. The event will be organised by the Office of the Commissioner for Human Rights and Finland, which is the current Presidency of the Ministerial Committee of the Council of Europe. Speakers at the opening of the event will be Finland's Minister for Foreign Affairs Timo Soini, President of the Parliamentary Assembly of the Council of Europe Liliane Maury Pasquier, and Secretary General of the Council of Europe Thorbjørn Jagland.